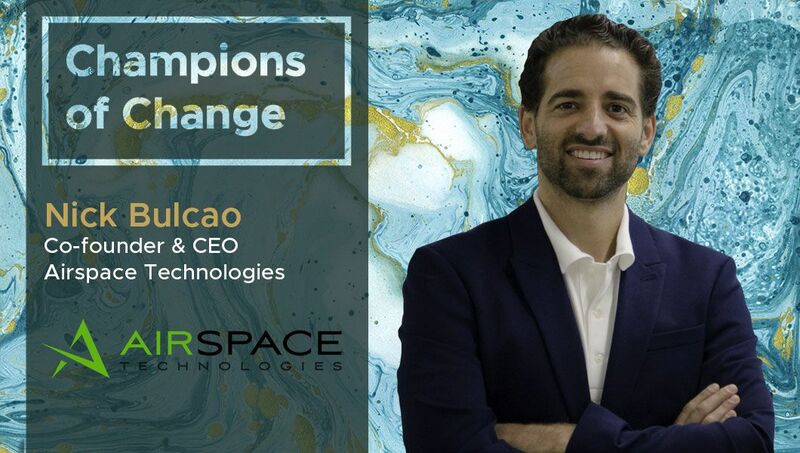 Nick Bulcao: Based in Carlsbad, CA, Airspace Technologies was founded in 2015 and has grown to be the most trusted leader in time-definite logistics. Currently, 1 out of 3 shipments with an expected delivery under 24 hours is delayed. The platform is the only technology that provides businesses with automated quoting, routing and real-time notifications for their most important shipments. In addition, Airspace Technologies global contractor network allows companies to connect directly with drivers (called “commanders”), significantly speeding up time to delivery, creating unparalleled transparency and reducing total cost. Airspace makes shipping faster, safer, and more transparent than ever through people, service, and technology. Our vision is to create the most trusted delivery network the world has ever seen, operating 24/7/365. Nick Bulcao: Five years ago, I would have said that the pace is glacial. Logistics is riddled with antiquated systems that are too embedded to replace, resulting in incremental improvements much slower than the speed of business. However, many startups, including my own, rightfully saw this as an opportunity. Flexport is the largest in the space recently taking in one billion dollars in a single round of investment, but many others are rethinking the supply chain from the ground up using modern technology. The pace of transformation has never been faster in logistics, but adoption is still slow. Large players are trying to turn their ship allowing room for companies like Flexport to take market share resulting in pressure that the major players have never had to face. Nick Bulcao: Most people in logistics will probably say blockchain. I think customs and other specific friction points can be solved well by blockchain, but we are very far away from adopting such a different incentive system considering how slow change has been historically and multiple companies having to adopt a common platform is painstaking. Instead, I think machine learning is rapidly changing most industries. At Airspace, whenever we approach a problem, we ask ourselves, is this really worth the valuable time of one of our employees? Will having a human touch improve customer experience? If not, a machine should do it and the number of problems a machine can solve is growing by the day due to things like machine learning. At Airspace we use algorithms to route and quote shipments and even dispatch drivers which previously could not be automated in the past. Now, these decisions can be made in seconds, 24 hours a day while our employees focus on higher value touchpoints with our customers. Nick Bulcao: The core of Airspace is a proprietary software platform that handles virtually all of the above. Our business model differs from other freight forwarders. Core to our business model is empowering the driver to make the right decisions in the field and streaming that data to our operations team and the customer in real time. This allows some of the standard operational responsibilities to be handled in the field by the drivers. This data also allows customers to track their shipments in real time on a map. Most logistics moves have less than 10 data points. It is common for ours to have over five thousand. This provides leading indicators of delay to our customers so they can make more proactive decisions and not be surprised by an interruption. Our experience with this new paradigm is that customers are doing exactly that. Doctors can use things like geofence notifications to use real time spatial data to know exactly when to put a patient to sleep instead of hoping that an organ arrives at a time specified hours earlier. It is a safer and more efficient to work and we are seeing wide adoption. Nick Bulcao: Our customers have access to all of their shipment information in one place. They can get a high level view of everything in transit or drill into a single shipment. This data is the exact same data that our operations team is tracking so customers have true real time information in an interface that they want to interact with whether that be via a web browser, phone app, or even Alexa. Nick Bulcao: The problem with logistics in 2019 is companies are still required to provide documentation for clearance to move things from one country to another. Our operations department inside of Airspace is completely paperless. Everything is managed digitally in our proprietary platform. However, some documents in that platform still need to be printed in the field just to be handed to the appropriate official. Nick Bulcao: In the next quarter we are focused on internal initiatives. There is so much more that we can automate using technology. We start with the biggest pain points, and those that require the most time for a human to do, and we automate those one by one. At the same time we are working on different ways we can use machine learning with all the data we have accumulated over the past 3 years. Nick Bulcao: We do not use one single dashboard to manage the health of Airspace. We do use a single KPI sheet that we review every week as a pulse check, but have deeper interactive analytics that better help us understand the key drivers of our initiatives. Nick Bulcao: Our strategy for staying up to date on technology and trends in the industry is to just hire the absolute best people we can find across departments and work collaboratively. Fast growing companies perpetually have more problems than can possibly be solved, but watching skilled people solve them is a great way to stay up to date. Nowadays you can solve some very complicated problems using anything from Google Docs to off the shelf analytics software. Hire the best people you can find who want to solve hard problems and you will never become outdated. Nick Bulcao: I am going to have to say none of them for the UX, but Instagram for the content. I think Instagram has seas of talented designers that are not being allowed to actually improve the UX of the massive social network. It’s the only explanation for overriding things like double tap to zoom and having clear buttons that extend to the far side of the screen that are still tappable. LinkedIn interleaves ads with messages which is one of the most obtrusive things I have ever seen a social network do. Facebook is good, but now that everyone is on it, no one wants to open it.